Are there floppy disks lurking in your desk? Old paper files containing sensitive information gathering dust in a filing cabinet? Old hard drives or computers taking up space in the corner of your office? Join the Office of Information Security (OIS) on Monday, October 15 from 11 a.m. to 2 p.m. in the Snell Library Quad for Data Destruction Day! Congruity will be on campus with their hard drive shredding trucks, so bring your paper items, CDs, DVDs, tapes, hard drives, floppy drives, thumb drives, zip drives, and other electronic devices containing data, to be destroyed for FREE. For those located in Belvedere Hall, 177 Huntington or 216 Mass Ave, OIS will be accepting these items at our 216 Mass Ave location. Drop offs can be scheduled forthe week of October 15 ONLY. All equipment will be given directly to Congruity for destruction. Please reach out to OIS@Northeastern.edu to coordinate. 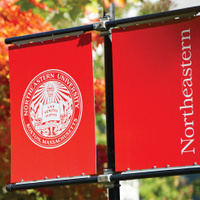 Data Destruction Day is open to all Northeastern faculty, staff and students. We will be accepting personal items, so feel free to bring your personal data devices and media. NOTE: No vehicles will be allowed in the quad, so please prepare to hand carry all items. Have Questions? Contact the Office of Information Security at OIS@Northeastern.edu.